A Settler or a Sojourner? If you would ask me where my home is, I would have to scratch my head. When we were in the US for eight months last year, we joked that we were living out of our car and suitcases. But here on the other side of the world, we don’t really feel at home either. We look different, sound different, eat differently and think differently than the people of this country. A more important question is whether we who have transferred our citizenship to heaven look, sound, and think the same as the people around us whose only home is this world. If I am a settler, I will try to assimilate. I will spend my time, energy and resources acquiring things that I think I will enhance my happiness here. And some of those “things” may include intangibles like acceptance, pleasure, and power. Paul: Our present troubles are small and won’t last very long. Yet they produce for us a glory that vastly outweighs them and will last forever! So we don’t look at the troubles we can see now; rather, we fix our gaze on things that cannot be seen. For the things we see now will soon be gone, but the things we cannot see will last forever. (2 Corinthians 4:17-18) Read also Romans 8:18-25. So the world didn’t end on December 21. Does that mean it never will? What has anyone learned from this false alarm? 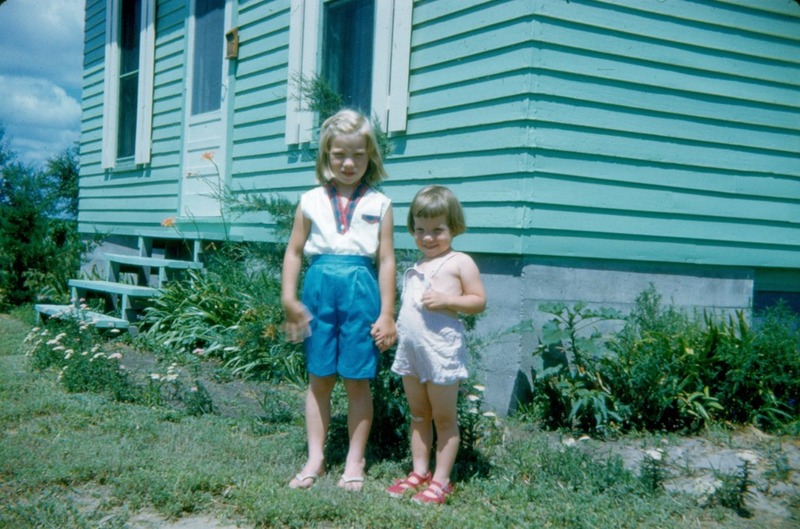 I remember when when my little sister and I were kids, excited about the arrival of our cousins from several states away. In the morning we took up our vigil, sitting beside the road on a piece of an old tire. But it was midnight before they arrived, and of course we’d given up our post long before that. The visit that followed was great fun, and soon we forgot about the frustration of waiting. We watch for our Lord’s return. He told us to! We can be sure He will come, though it might not be as soon as we wish. But you must not forget this one thing, dear friends: The Lord isn’t really being slow about his promise, as some people think. No, he is being patient for your sake. He does not want anyone to be destroyed, but wants everyone to repent. But the day of the Lord will come as unexpectedly as a thief. Then the heavens will pass away with a terrible noise, and the very elements themselves will disappear in fire, and the earth and everything on it will be found to deserve judgment. * But we are looking forward to the new heavens and new earth he has promised, a world filled with God’s righteousness. In a language that I know, there’s a specific word to refer to how you feel when you’ve eaten too much sweet or rich food. Though that is an unpleasant feeling, it does come to mind when I try to express how overwhelmed with awe and delight I am when intaking certain parts of God’s Word. Like 1 Peter 1 and Ephesians 1, for example. God, your Word is wonderful! It delights me, makes my heart sing and draws me to you. I can never get enough—I never tire of it—I want to make it part of me. Thank you, Lord, for the gift of Your Word in my own language. And please raise up people to translate it in all its power and beauty into the 2000+ languages that don’t yet have even one word of it! The Bible is just full of treasures waiting to be discovered—and rediscovered! Here’s one I found some time ago and read again today. 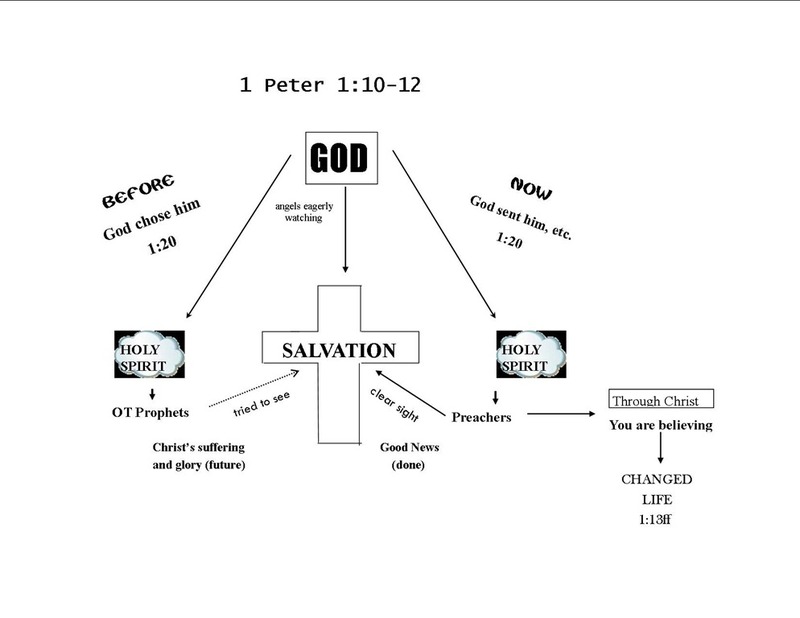 This diagram helps to show the beautiful symmetry of God’s plan of salvation in the Old Testament times and now in the New Testament and beyond. And it shows the central role of each Person of the Trinity in our salvation. We are so blessed!